Manufacturer of a wide range of products which include spray phosphate paint shop. Owing to our rich industrial experience, we are offering Spray Phosphate Paint Shop. The entire range offered by us is widely complimented for providing high thermal efficiency and lower thermal conductivity. 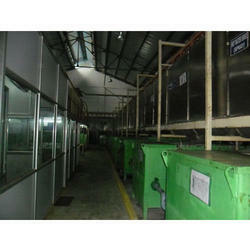 Moreover, these paint shops also provides higher fuel efficiency during baking cycle.